During the month of January, we spent an epic four weeks traveling in Asia: Singapore, Vietnam, Thailand, Macau, and Hong Kong. The most cost effective way to get us to our desired destinations was to take a whopping 10 different flights. Since we were flying so frequently, we decided it would be wise to only take carry-on luggage with us. How did we do this you ask? Well, it was a challenge, but I will share with you some of our tips. Less chance of your luggage being stolen, lost by airlines, or you forgetting your bags – you can concentrate on enjoying your trip and not constantly worrying about your possessions. Not having heavy baggage to lug up and down stairs and off and on trains or other modes of transportation. Save money by not having to pay money to check one or more bags. Save time by not having to wait for your luggage to come off the belt upon disembarking and not having to wait in line to check them in at the counter. Wrinkle-resistant clothes – luon, dry-fit, jersey etc. Tip: when packing, always roll your clothes to maximize space in your suitcase. This technique also wrinkles your clothes less than folding. Stick to a Color Scheme – you can never go wrong with black. And it hides any stains and dirt that you might attract during your travels. Ladies – black leggings are your best friend. Dress them up, down, play sports in them, wear with heels, flats, sandals, flip-flops, or running shoes. lululemon (or any other dry-fit type material) is your best friend on an airplane (especially flights that are over 13 hours!). On the plane I wore black lululemon yoga pants which kept me warm in the cold, dry cabin air. They are also comfortable enough to sleep in but don’t look like pajamas. I also brought black shorts and black capris. 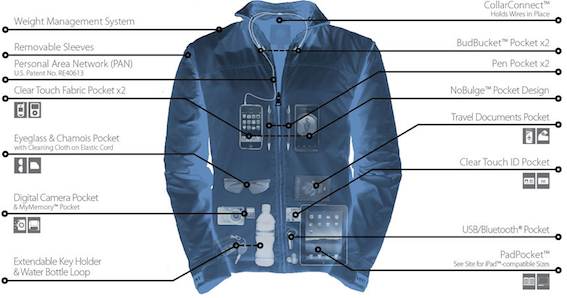 Layer – this is especially important when traveling. You could go from a chilly airplane to hot, sticky, tropical weather, so you need to be able to easily take off or put on clothes to adjust to the ever changing temperatures. Wear your bulkiest/heaviest items on the plane to save space and weight in your luggage. Rule of 2– 2 pairs of shoes: flip flops for the beach and athletic or comfortable shoes for walking/travel/activities. 2 bathing suits. 2 light jackets/cardigans. Guys – 2 jeans/khakis, 2 pairs of shorts. Ladies – 2 skirts/dresses/pants. Rule of 7 – if you have 7 of a particular item i.e. socks, underwear, tshirts, bras, tank tops, etc. then you can always do laundry at the end of each week. Luckily we were staying with friends and family at a few of our destinations and were able to use their washer/dryer. Don’t have that luxury? Hand wash your clothes in the hotel sink: there’s usually a wire line-dyer in hotel bathrooms. Alternatively you can use the hotel laundry service or visit a laundromat. Run out of underwear but don’t have access to a laundromat and don’t want to hand wash in the sink? Buy more while you’re traveling. Alternatively, bring disposable underwear, or underwear that you’ve been planning on throwing out anyways and wear them on your trip, then toss after use. Ladies, choose a really light-weight purse, like a nylon LeSportsac. They weigh literally nothing but can hold everything, and can even get wet. Guys (and gals), have you heard of SCOTTEVEST? They make jackets, vest, pants with multiple pockets that you can hold everything! I bought my husband one a few years ago and he used it on our most recent trip. Because the jacket has removable sleeves, it’s great for hot climates. Think carry-on only is crazy? How about around the world travel with NO LUGGAGE: http://www.rtwblog.com/! *Always check with your carrier, as airlines can vary slightly in their cabin baggage restrictions. Zip-Lock Plastic Bags are another best friend to travelers. They keep items from getting wet and because they are transparent, you can easily find items inside. Use different sized bags for your makeup bag, shoe bag, store toiletries, liquids/gels, etc. If you’re staying at hotels, friends, family, you can always buy toiletries once you reach your destination and use the hotel/friends/family’s toiletries until you buy your own. Or, what we did was bought 100ml travel size bottles to put our favorite toiletry products in. The only things we had to buy were another travel size toothpaste (we ran out) and sunblock. Bring multi-tasking products – hair conditioner can be used as shaving cream. Put all gels and liquids in a quart size plastic zip bag before getting to the airport. Place them in the outside pocket of your luggage and you can take it out easily to go through security. Leave your hair dryer at home (friends/family/hotel will usually have one). I often straighten my hair with a flat-iron but also left it at home. There’s no way a straightening iron would win a fight in the 60 – 100% humidity of the tropics! I generally over-pack, even for short weekend trips. So, for this trip I packed, then edited, and edited some more, until I had the perfect items. One of the reasons we were able to pack so lightly was the majority of the time we spent in 25-32 degree Celsius (77-90 Fahrenheit) weather. Packing only carry-on for a winter trip would definitely be a lot more challenging – but not impossible. Edit your makeup bag: mascara, concealer, tinted moisturizer, dual ended pencil eyeliner, eyeshadow duo, powder bronzer/blusher duo, lipgloss – is all you need. Make sure all liquids/gels are under 100ml. (Click here for some great travel makeup ideas.) Heavy makeup just melts off in humidity anyway and who wears a full face of makeup to the beach? Tip: At the end of your trip, you can always buy a large, cheap piece of luggage to bring souvenirs, clothes, food, trinkets, etc. home with you.